2019 Michigan State Meet Champions! 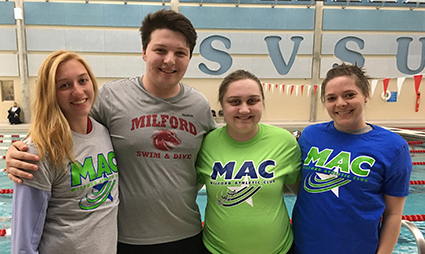 Milford Athletic Club (MAC) is a Master’s swim club in Milford, Michigan at Huron Valley Pools and Fitness / Milford High School. Adult swimmers (age 18+) of any ability level – from beginner, to former high school or college swimmers – are welcome. MAC runs approximately eight organized coached workouts a week, each running about 1-1/2 hours per session. Swimmers are grouped by ability, into separate lanes, and workouts will vary depending the lane. 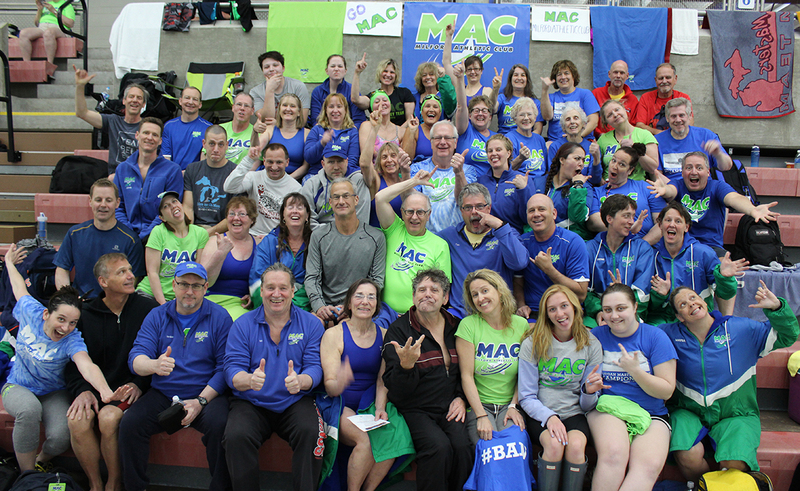 MAC has won The Michigan State Championship Meet (Michigan Masters), the past SEVEN consecutive years 2013-2019. • Fun and camaraderie in the pool • Learn correct stroke techniques • Increase the efficiency of your strokes • Develop more physical endurance • Certified coaches • Organized summer open water swims and coached summer open water workouts. To swim with MAC you can purchase a 20 visit punch card. HVPF members the cost is $75, and non-HVPF members the cost is $125. Complete registration details are available at the front desk. Your first 3 MAC visits are FREE! When Huron Valley schools are closed there will be NO Morning MAC practice, and MAC coaches will send out a Remind, Email, and Facebook notification. For Evening Practice a determination will be made by 4:00 pm, based on current conditions, as to whether there will be practice, and a Remind, Email, and Facebook notification will be send out at that time. MAC Lite is for those adults who are interested in learning to swim for fitness, triathlon, or competition. No experience is required but a good swim suit and goggles are highly recommended. MAC Lite will work on the stroke mechanics of all four competitive strokes and aim to slowly integrate swimmers into the 1-1/2 hour MAC practices. The weekly schedule will consist of one morning and one evening practice.